Starting Strong’s first Reading Partners cohort included 25 students, 13 of whom were learning English. 78% of participating students met or exceeded spring literacy benchmarks as assessed by the Fountas and Pinnell Benchmark Reading Assessment. Today, Starting Strong and Portland Public Schools have expanded the Reading Partners program to Lyseth Elementary School. 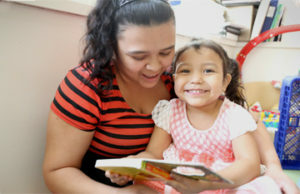 Starting Strong believes that by working with community volunteers to deliver intentional, individualized literacy support programs, like Reading Partners, all Portland third graders will read at or above grade level.